What? Cookies? Yes, you know what that means...I've been home for the holidays, and my sister's been baking. I ask for these sugar cookies every chance I get, but it seems I only get them on days like Christmas or my birthday. 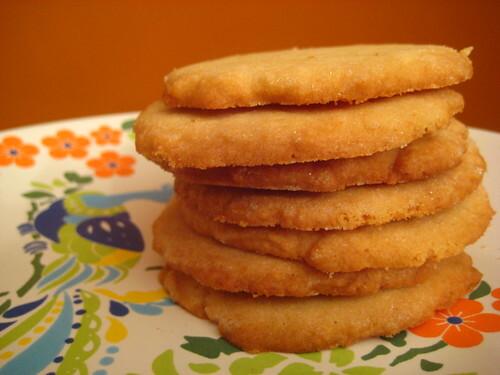 Which at first I thought was cruel and unfair, but then I learned how much butter and sugar and oil the recipe calls for, and I think I'm OK with just the biannual sugar cookie fix. Picture a couple of things for me, if you will. 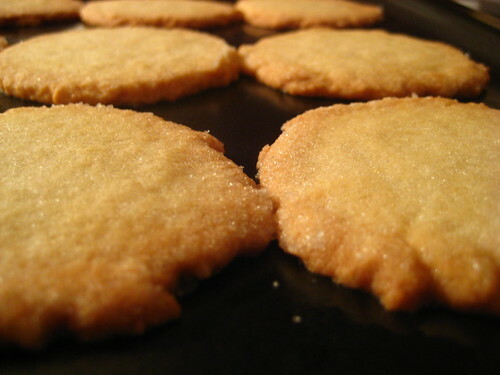 Firstly, the first cookie you ever remember helping to bake. This was mine. 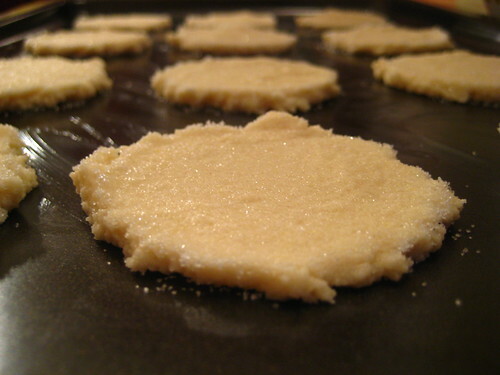 I distinctly remember kneeling on a chair in the dining room, hovering over a sheet of sugary lumps, dipping the bottom of a glass into a bowl of sugar and pressing the lumps flat -- my sister overseeing the entire process. Next, a beach. Rolling and clumping and forming perfect cookies out of sand, each granule sparkling, the cookie crumbling with even the slightest poke. 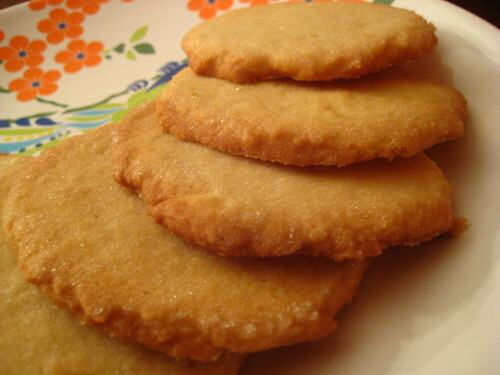 Eating these sugar cookies is like taking a bite out of the sugariest, most delicate sand cookie, tiny grains of sugar and salt melting sweetly on the tongue. If you've got those images down, then you've got an inkling of an understanding as to how special and delicious these cookies are to me. My favoritest. And I'm sorry, but I've been told I can't share the recipe. Which kinda makes them even more special. Oh, so mean! You taunt! i don't mean to! i swear.